Scot Doyen is a trial lawyer who has extensive experience in the trial of commercial, personal injury, and first-party insurance cases. 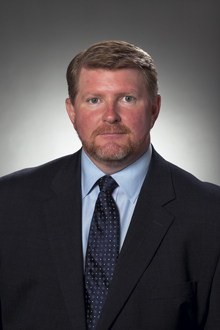 His experience includes defending premises liability, construction liability, legal and medical malpractice, commercial disputes and insurance coverage cases. Scot also has extensive appellate experience having successfully argued before the Supreme Court of Texas and the Fifth Circuit U.S. Court of Appeals, in addition to numerous other appellate victories. He has been named a Super Lawyer in personal injury litigation, is Board Certified in Civil Trial Law by the Texas Board of Legal Specialization and is a member of the Bar of the United States Supreme Court. Scot routinely represents insurance carriers providing analysis and opinions in routine and complex coverage matters, as well as providing defense in bad faith claims involving personal and commercial lines of coverage. He has successfully represented residential and commercial insurers in trial and appellate work across Texas. He currently serves as coordinating counsel for all Texas first-party litigation for two national carriers, as well as two regional carriers. This representation includes supervision of hundreds of lawsuits and extensive experience as defendant’s liaison counsel in various insurance-related MDL’s. Scot is also frequently called upon for advice and representation, both across Texas and nationally, related to the coordination of corporate discovery responses, trial and witness preparation, and strategies on topics such as ESI. Scot has been actively involved in commercial litigation and traditional insurance litigation, both first-party and third-party, throughout his career. He has successfully defended all manner and size of corporations, insured or self-insured, as well as individuals, in personal injury suits alleging negligence claims and other tort claims. Scot is frequently called upon to evaluate the enforceability of indemnity provisions in contracts and he is frequently involved in claims asserting indemnity rights. He has successfully defended contractors, sub-contractors, premises owners, and product manufacturers. In addition to maintaining his active trial practice, Scot also served for 3 years as outside general counsel for a regional property carrier with approximately $150,000,000 in annual premium. In this position, he served on the company’s executive staff and was involved in reinsurance presentations and negotiations, HR matters, real estate matters, underwriting issues, product development, and regulatory/compliance issues. This experience provided a deeper understanding of our clients’ “behind the scenes” needs and significantly contributed to the overall development of the entire firm. In re National Lloyds Insurance Company, 532 S.W.3d 794, 60 Tex. Sup. Ct. J. 1165 (Tex. June 9, 2017) (NO. 15-0591). Successful mandamus of a discovery order from District Court in Hidalgo County, Texas (affirmed by the Corpus Christi Court of Appeals) compelling the production of the defendants’ attorney fee invoices and the answering of interrogatories related to topics such as attorney billing rates. In granting mandamus, the Court noted, "... absent unusual circumstances, information about an opposing party’s attorney fees and expenses is, in the ordinary case, privileged or irrelevant and, thus, not discoverable." In re National Lloyds Insurance Company, 507 S.W.3d 219, 60 Tex. Sup. Ct. J. 60 (Tex. Oct. 28, 2016) (NO. 15-0452). Successful mandamus of a discovery order from District Court in Hidalgo County, Texas (affirmed by the Corpus Christi Court of Appeals) compelling the production of management reports and emails encompassing claims that were not the subject of the consolidated MDL suits then pending before the trial court. In granting mandamus, the Court relied upon its earlier holding in In re National Lloyds Insurance Company, 449 S.W.3d 486, 58 Tex. Sup. Ct. J. 64 (Tex. Oct 31, 2014) (NO. 13-0761) and conditionally granted the requested relief. In re National Lloyds Insurance Company, 449 S.W.3d 486, 58 Tex. Sup. Ct. J. 64 (Tex. Oct 31, 2014) (NO. 13-0761). Successful mandamus of a discovery order from County Court at Law in Dallas County, Texas (affirmed by the Dallas Court of Appeals) compelling residential property insurance carrier to produce claim files from unrelated claims. In granting mandamus, the Court noted, "... we fail to see how National Lloyds' overpayment, under payment, or proper payment of the claims of unrelated third parties is probative of its conduct with respect to Erving's undervaluation claims at issue in this case." Sandra Rickett v. Aegis Security Insurance Company, in the Superior Court for the County of Gordon, State of Georgia, Civil Action No. 16CV65849. Successfully represented residential property insurance carrier sued for denial of a theft claim. The jury found no breach of contract and no bad faith. Mahmoud Abdalla v Farmers Insurance Exchange, 48th District Court, Tarrant County, Texas, transferred from Cause No. 017-269661-13, tried in the 17th District Court, Tarrant County, Texas. Successfully represented commercial property insurance carrier sued following hail storm. The suit pertained to a 70,000+ square foot modified bitumen roof. The jury found no breach of contract and no bad faith. Mahmoud Abdalla v Farmers Insurance Exchange, No. 07-17-00020-CV, 2018 WL 2220269, 2018 Tex.App.LEXIS 3358 (Tex.App. – Amarillo May 14, 2018, no pet.h.). Successfully represented commercial property insurance carrier sued following a water discharge claim. The claim was resolved by an appraisal award, which was timely paid. The trial court granted summary judgment, which was affirmed on appeal. Andrea Amaro and Martin Amaro v National Lloyds Insurance Company, et al, 206th District Court, Hidalgo County, Texas, transferred from Cause No. C-0304-13-H. Successfully represented residential property insurance carrier sued following March 2012 hail storm. The jury found no breach of contract and no bad faith. Finis Fleming v “Kroger”, and Kroger Texas, L.P., et al,; 334th District Court, Harris County, Texas, Cause No. 2011-59377. Successfully represented premises liability defendant sued for slip and fall in grocery store. Plaintiff claimed actual knowledge of problems with leaking refrigerated units and medical in excess of $250,000. The jury found no negligence. John Davis d/b/a J.D. House of Style v National Lloyds Insurance Company; 11th District Court, Harris County, Texas, transferred from Cause No. 2010-58199, tried in the 281st District Court, Harris County, Texas. Successfully represented residential property insurance carrier sued following Hurricane Ike. Following an adverse jury verdict, the Court granted Defendant’s Motion for JNOV, which was affirmed on appeal in an opinion published at 484 S.W.3d 459 (Tex.App. – Houston [1st Dist.] 2015, pet.denied). Preston Thibodeaux v National Lloyds Insurance Company, et al, 11th District Court, Harris County, Texas, transferred from Cause No. D-185-838, Jefferson County, Texas, tried in the 136th District Court, Jefferson County, Texas. Successfully represented residential property insurance carrier sued following Hurricane Ike. The jury found no breach of contract or bad faith. In re Broad, 370 S.W.3d 797 (Tex. App. – Dallas 2012, orig. proceeding). Successful mandamus of a denial by the trial court to designate a responsible third party in a premises liability case. Russell Hudeck v. Memorial Hermann Hospital System, 127th District Court, Harris County, Texas, Cause No. 2003-29849. Successfully represented local hospital sued for alleged medical negligence relating to the development and progression of a decubitus ulcer, which eventually measured six inches in diameter. The jury found no negligence on the part of the hospital, which was the sole defendant at trial. Michael & Sharon Gordon v. Little Rock Assemblies of God Church, South Texas District Counsel Assemblies of God, et al, 172nd District Court, Jefferson County, Texas, Cause No. E-162,269. Premise liability sexual assault case against an Assemblies of God Church whose youth pastor pleaded guilty to two counts of sexual assault and was sentenced to the penitentiary. Successfully represented Little Rock Assemblies of God Church and obtained summary judgment dismissal of all claims against the church on the eve of trial. The trial later resulted in a multi-million dollar judgment against defendant, South Texas District Counsel Assemblies of God, which was represented by other counsel. NMTC Corp. d/b/a MATCO Tools vs. Conarroe, 88th District Court, Hardin County, Texas, Cause No. 42,567. Successfully represented defendant in covenant not to compete case in which plaintiff sought enforcement of covenant not to compete, as well as injunctive relief. The judgment, which was in defendant’s favor, was later upheld on appeal in an opinion published at 99 S.W.3d 865 (Tex. App. – Beaumont 2003, no writ). Budget Properties, LP vs. Beaumont Metropolitan Properties, Inc., 60th District Court; Jefferson County, Texas, Cause No. B-166151. Wrongful foreclosure case where plaintiff sued for deficiency on a foreclosed note and defendant counterclaimed for $1.2 million in damages caused by wrongful foreclosure. Successfully represented plaintiff in obtaining a judgment for the deficiency amount, attorney’s fees, and a finding of no liability on the wrongful foreclosure counterclaim. Louisiana Gas Development Corp. and Aspect Resources, LLC v. Shine & Johnston, Inc. and J. Gilbert Johnston, 172nd District Court; Jefferson County, Texas, Cause No. E-162088. Successfully represented a registered professional land surveyor in a case involving alleged professional negligence. It was alleged that the client’s staff mis-staked plaintiffs’ oil and gas well approximately 592 feet from its intended location. Plaintiffs claimed to have discovered the mistake after having drilled to over 8,000 feet of depth and having incurred millions in claimed damages. The Court granted summary judgment in favor of the plaintiffs on negligence. However, a careful analysis of the seismic data developed demonstrated the benefits to the plaintiffs of the fortuitous well placement and the case was resolved for a confidential amount very favorable to the client. Patrick Butcher vs. Diane Butcher, 279th District Court, Jefferson County, Texas, Cause No. F-136,121. Successfully represented husband in equitable bill of review brought seven years after rendition of judgment. The court found fraud in the prior rendition of the divorce and custody orders, vacated its prior orders, determined that the law of Trinidad applied, and recognized the divorce and custody orders granted in Trinidad as prevailing. Saraw Partnership, et al vs. The United States of America, et al, 67 F.3d 567 (5th Cir. 1995). In a case of first impression in the Fifth Circuit, reversed and remanded a dismissal of plaintiff’s causes of action brought against the United States Veterans Administration for negligent misrepresentation. Forensics: How to Think like a Lawyer and Talk like a Geek About Forensics and Its Application in Discovery, West LegalEd Center, 8/2/2018. E-discovery 2018: Key Issues and Practical Guidance on eDiscovery for Corporate and Outside Counsel, West LegalEd Center, 5/10/2018. Tried and True – Working up and Presenting a First Party Insurance Case, State Bar of Texas Advanced Insurance Law 2017. Just Do It: How to Avoid Common Pitfalls in Federal E-Discovery and Evidence, West LegalEd Center, 4/10/2017. Just Do It: Federal E-Discovery and Evidence, West LegalEd Center, 3/15/2017. E-Discovery: A (Hopefully) Practical Guide, Texas Association of Defense Counsel; 2016 TADC Summer Program. Defending Against First Party Claims and Attorney’s Fees, Texas Association of Defense Counsel; 2016 TADC Summer Program. Litigating the Economic Development Project, Texas City Attorney’s Association; 2006, TCAA Semi-Annual Conference. The FBI is on the phone? Someone Tell me who I Represent! (Ethics presentation), Texas City Attorney’s Association; 2003, Texas Municipal League Conference. Economic Development Corporations, Texas City Attorney’s Association; 2002, TCAA Semi-Annual Conference. Independent Medical Examinations, State Bar of Texas Advanced Expert Witness Course; 2002. When the FBI comes knocking at your door (Ethics presentation), State Bar of Texas Suing and Defending Governmental Entities; 2002. The FBI is on the phone? (Ethics presentation), Texas City Attorney’s Association; 2001, TCAA Semi-Annual Conference. How an Attorney Approaches Expert Testimony, International Association of Arson Investigators Expert Witness Courtroom Testimony Course; 2001. Recent Federal Cases, Texas City Attorney’s Association; 1999, TCAA Semi-Annual Conference. Unless otherwise indicated, Texas attorneys are Not Certified by the Texas Board of Legal Specialization. The information you obtain at this site is not, nor is it intended to be, legal advice. You should consult an attorney for individual advice regarding your own situation. We serve the following localities: Harris County including Houston; Bexar County including San Antonio; Brazoria County including Pearland; Cameron County including Brownsville and Harlingen; Collin County including Frisco, McKinney, and Plano; Dallas County including Dallas; El Paso County including El Paso; Fort Bend County including Katy; Galveston County including Galveston; Hidalgo County including Edinburg; Jefferson County including Beaumont; Nueces County including Corpus Christi; Tarrant County including Fort Worth; and Travis County including Austin.